It is our goal to provide high quality product, prompt delivery, and building long term relationships with our customers and suppliers. No Job is too big or small…we take pride in being your one stop source for building materials. Our motto since 1953 has always been . 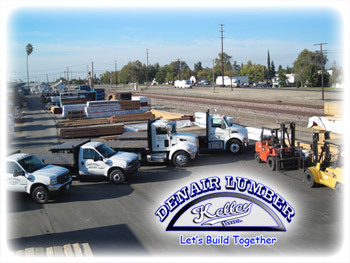 As a well recognized member of our community (members of the Turlock Chamber of Commerce and The Building Industry Association of Central California) we plan to conduct our business to satisfy our customer's needs. Questions and comments do help our company so please feel free to contact us.